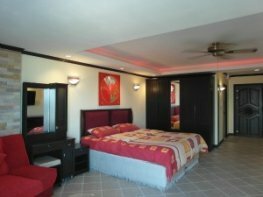 This 38 square meter condo in View Talay 2 on Thappraya Road is on the 5th floor and is fully furnished. Grand view of Thailand from the balcony. 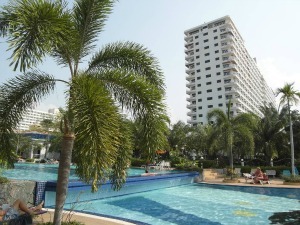 Great central location between Jomtien & Pattaya with large communal swimming pool. Just bring your suitcase and bathing suit. 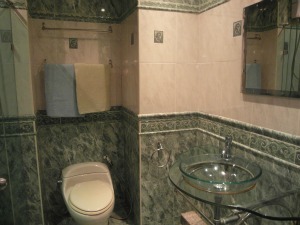 Modern and well-designed studio condo. 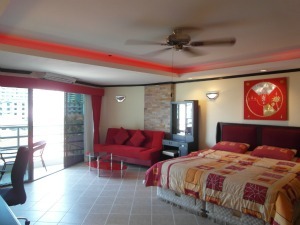 Fully equipped from air conditioning and flat screen TV to refrigerator and microwave. 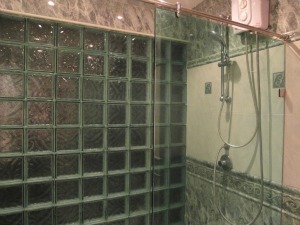 Clean bathroom and shower with 2 clean towels. 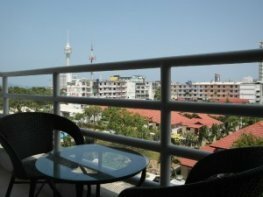 This studio condo is located in Jomtien, Pattaya in building View Talay 2 on the 5th floor. 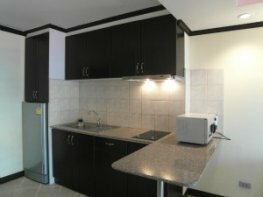 Studio: kitchen fully kitted out, air-con & ceiling fan, flat screen LCD & DVD, fully furnished. 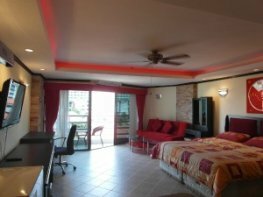 Features: ceiling with concealed lighting, kitchen fully fitted out, flat screen LCD & DVD, fully furnished, air con & ceiling fan, 41 square meters.